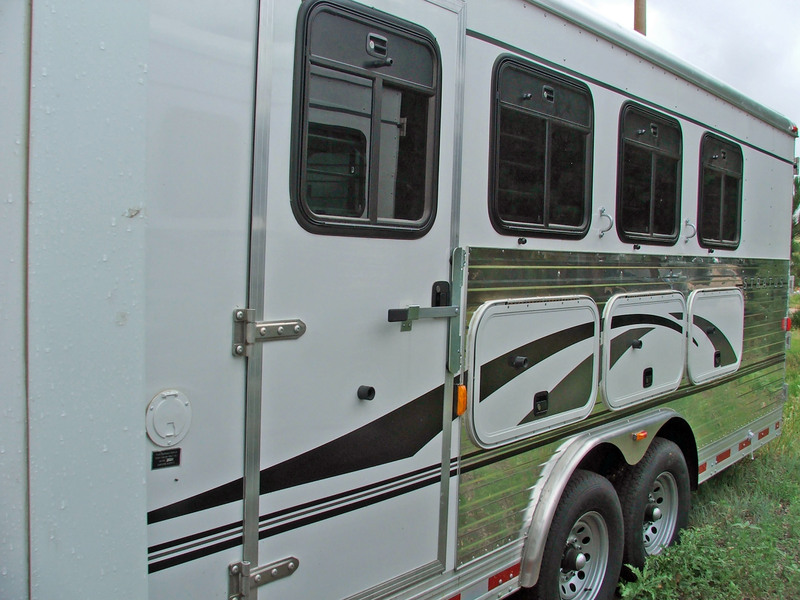 Bison the Living Quarter Horse Trailer with Unusual Value and the only Horse Trailer Flush-Floor Slide-Out. When you build over 700 Living Quarter horse trailers a year, putting you in the top 4 Living Quarter builders, according to Frank Parmater, sales manager for Bison, you get noticed. After just 4 years of new ownership, management and 250% growth, Bison drew the attention of major corporations. Which is just what happened when Monaco Coach bought Bison Trailers last year. Monaco Coach Corp. is the #1 builder of Class A diesel motorhomes. This makes only the second publicly traded horse trailer company. That says something about the stability and future of Bison Trailers. And think of the supplies buying power that Bison now has. It’s this cost conscious philosophy that first attracted me to Bison. I first saw the BisonStratus at the Horse Expo in Denver. A trailer this large, catches your eye. 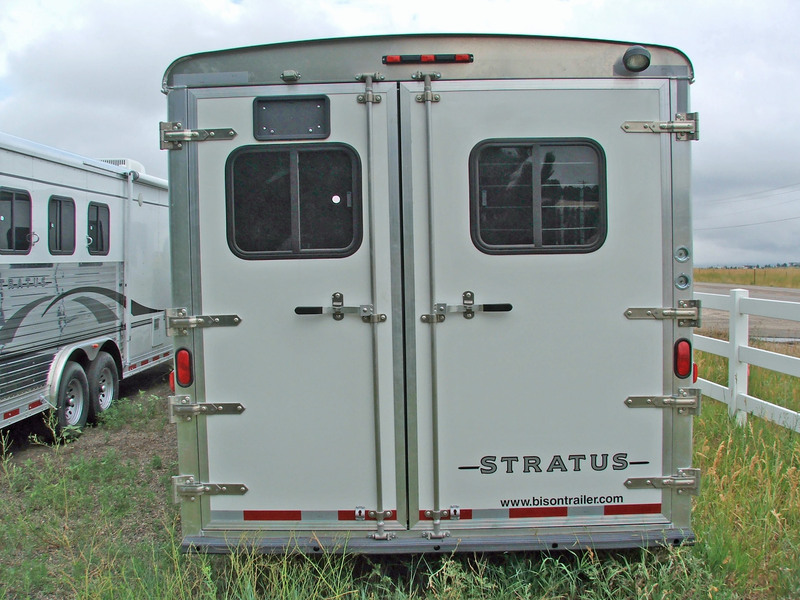 And after comparing trailers at the Expo, it was apparent after watching a few Bison’s sell, that a Stratus Living Quarter horse trailer was $10,000 to $20,000 cheaper than other LQ’s there. That’s a lot of tomato’s or a couple tanks of diesel. In the last four years, Bison under new ownership, went from a regional horse and stock trailer company to a national horse trailer manufacture targeting the Living Quarters market. 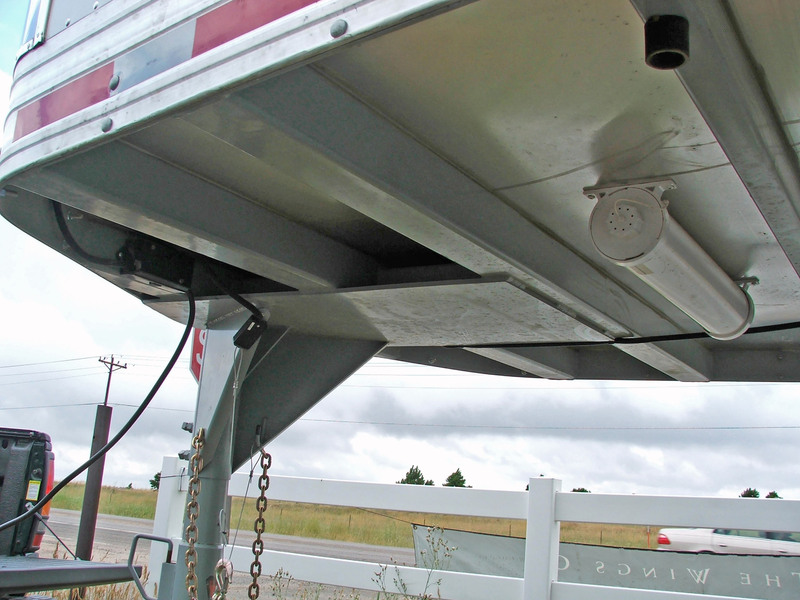 Founded in 1980 making steel stock trailers, switching to aluminum skinned steel enclosed horse trailers in 1995, Bison Manufacturing now concentrates on two horse trailer lines. 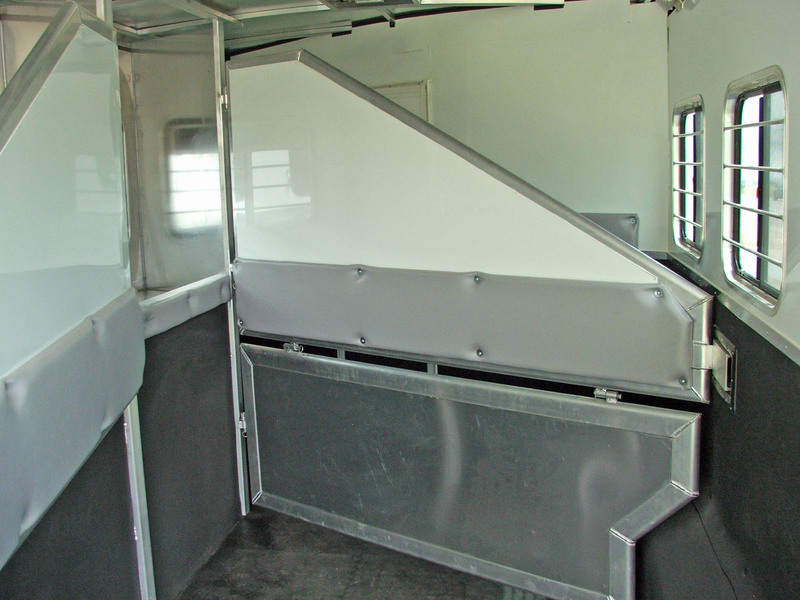 The Alumasport is a metal frame, aluminum skin enclosed horse trailer in 7 and 8′ widths and the Stratus aluminum enclosed horse trailer in 8′ width. The True Flush-Floor Slide-Out, oh my! 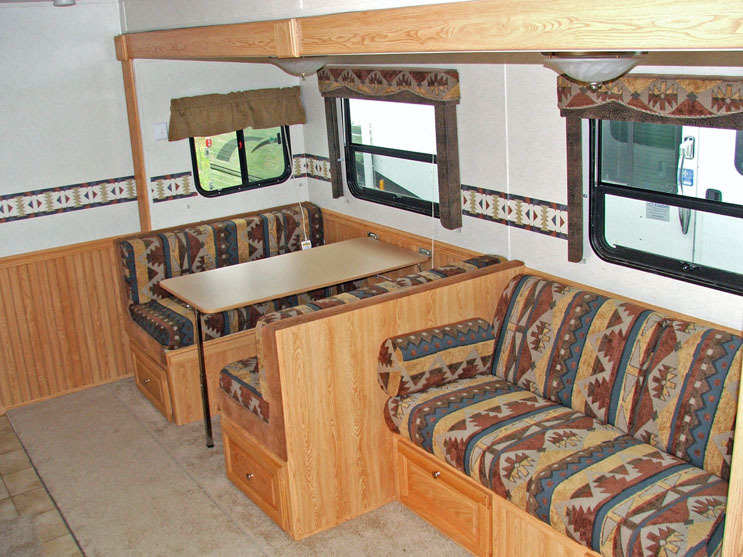 Now you can have real room to roam in a Bison. Look at the flush slide-out floor, no trip up, I mean no step up to the sofa or dinette. Lots of room is a good thing. Building horse trailers in the middle of the largest RV manufacture region, just south of the Great Lakes, is another good thing. 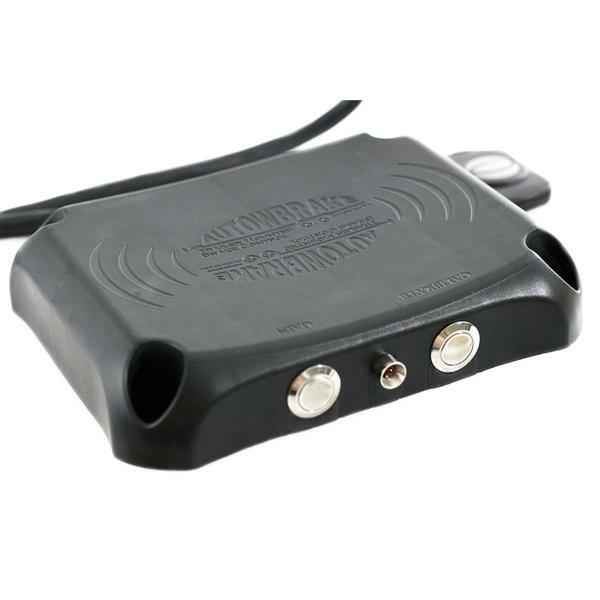 That’s how you stay in touch with the latest and greatest RV innovations that work in horse trailer Living Quarters. 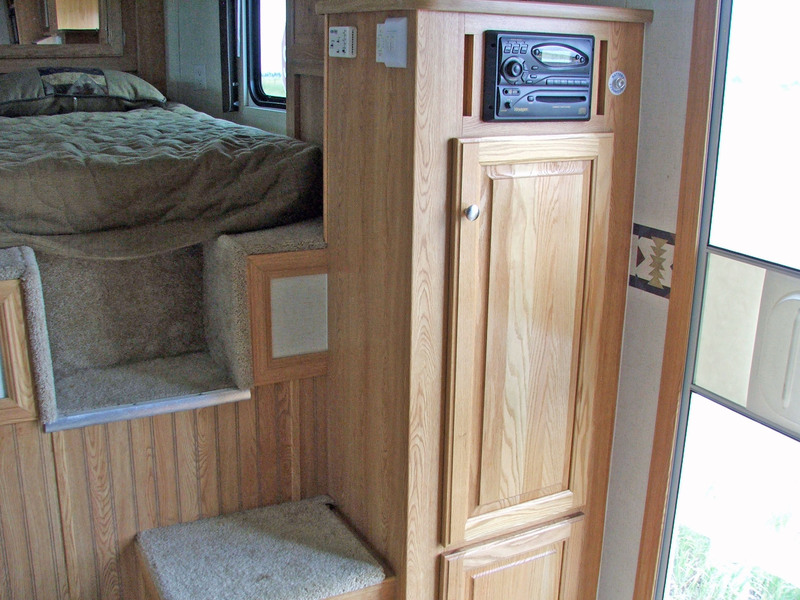 RV style flush slider floor, carpet on top of carpet. Floor glides on a nylon plate, when the slide-out is all the way out, the floor drops into a beveled slot. Look at it close, because it’s the future. The massive frame section of the slide-out unit replaces a section of the floor frame, this keeps the extra weight of a LQ slide-out to a minimum and the design allows the slide-out floor to match the main floor by the thickness of the carpet. 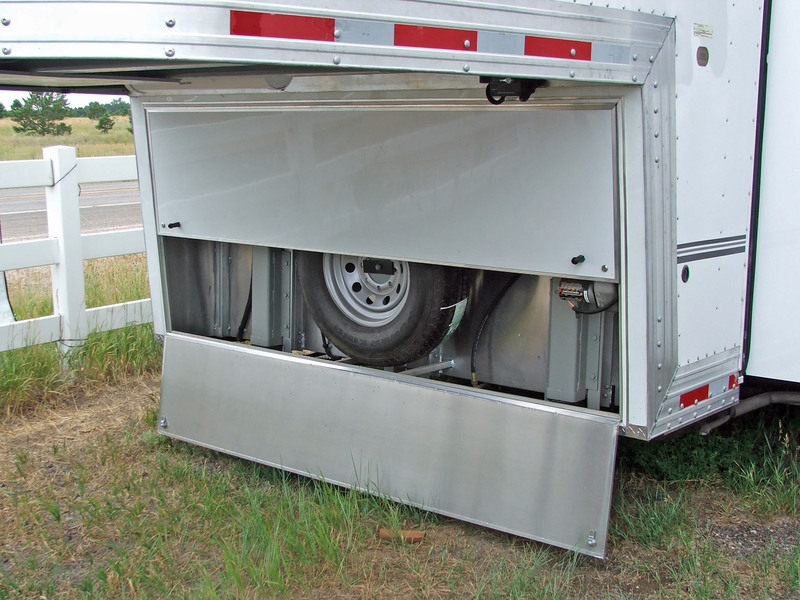 A rack and pinion slide-out running gear, another place where the RV technology helps Bison with the only flush floor slider in a horse trailer LQ. Bison factory slide-out frame is part of the floor frame, not a slider frame on top of the factory floor. 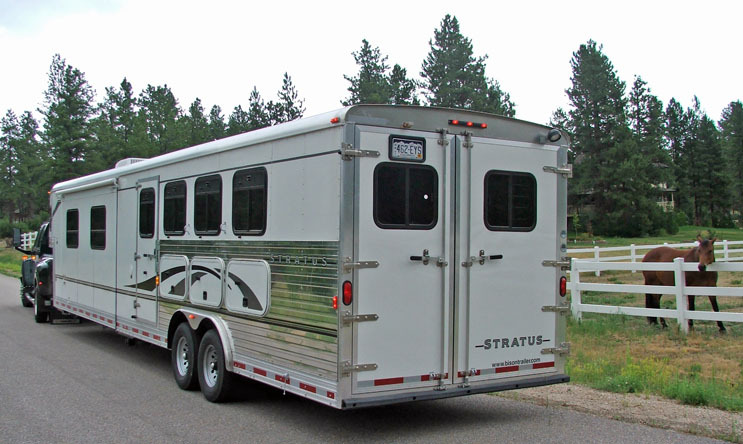 Because Bison builds mostly Living Quarter horse trailers, they engineer the trailer structure around the large hole for slide-outs. 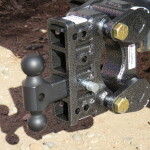 Double framed above the slider hole and angle braced to provide a stiff truss like structure. Extra bracing sides, wall and roof for the slide-out. Extra roof bows for the slide-out hole. The general framing is massive. Good thing they have volume buying power for aluminum. You learn a lot touring a horse trailer factory. Some of the most import features are buried in the walls. Having a flush slide-out floor, allows an extra 6 inches above the side-out hole, where Bison adds, what else, but more bracing. Think about that when your trailer is 10 years old and you haven’t had to fix it. 1st picture is roof rail. Extruded aluminum, top edge rail is 3/16 T-6. 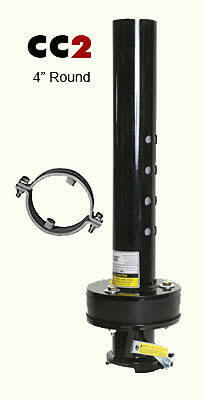 I-beam cross members are on 16″ centers. Side floor rails box the floor in, then the frame is attached outside of that. Pictures below show the extruded aluminum flooring welded on top of the aluminum I-beam cross members. as you can see from the pictures, Bison gets extreme with framing. AdvanTech 3/4″ flooring used in the Living Quarter, is water proof with a 50 year warranty. 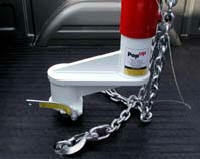 Another product brought from the RV industry. 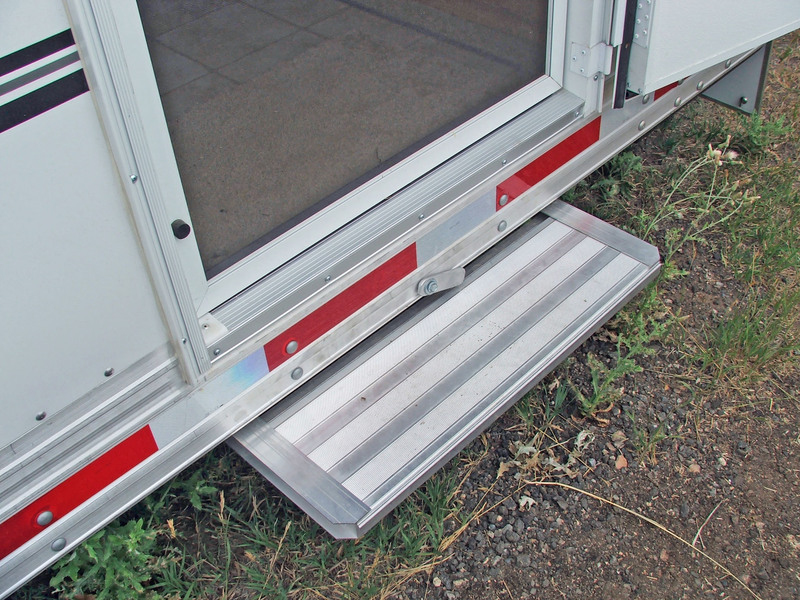 There is gutter barrier between the aluminum horse floor and the LQ floor to keep urine outside. The rear door corner is reinforced in the 1st picture below. Bison is very conscious in it’s commitment to have no leaks from structural flexing or anything else that would cause annoying roof leaks. Engineering shows in the framework, not what you’d expect from a trailer it this price range. Braced like it hauls buffalos I mean Bison. Bracing for the neck is again extreme, which is good. 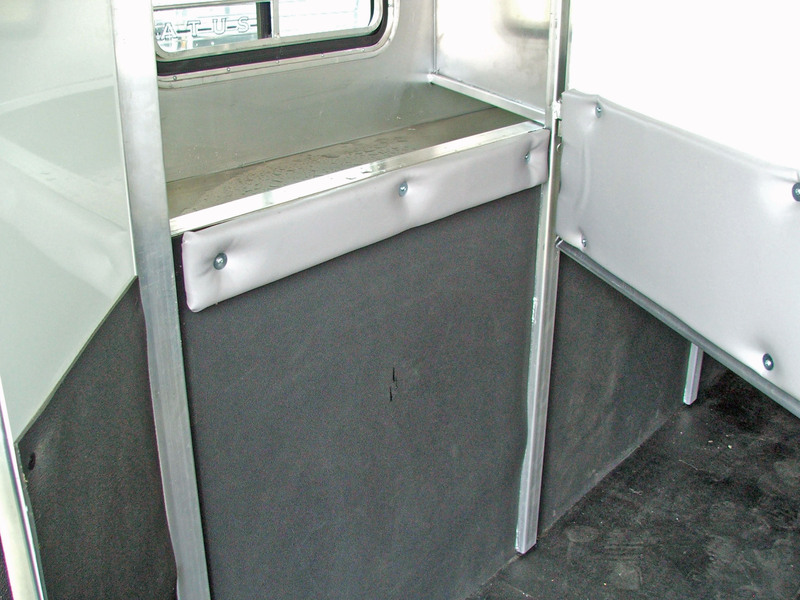 Bison trailers have the front bulkhead riser enclosed. Looks expensive. Below, more neck framing. 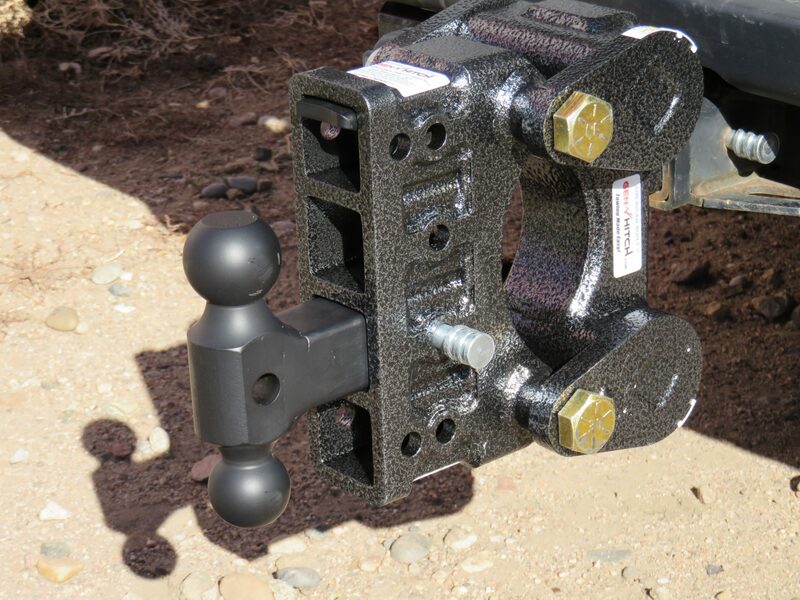 Upside down below, but you get the idea that the gooseneck hitch has an entire framework that ties to the floor frame. 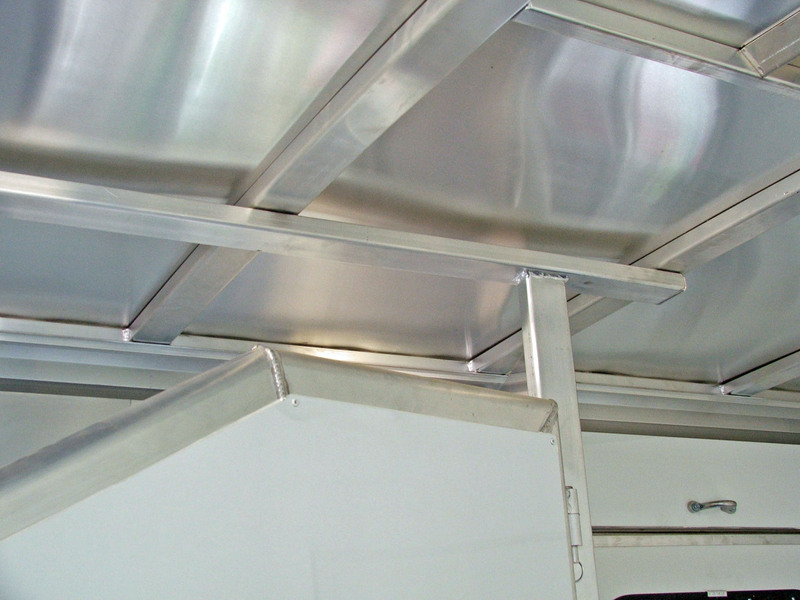 Most aluminum trailers have steel where the gooseneck attaches and the axles. Bison uses the most steel I’m seen in the neck of an aluminum trailer. Neck frame and axle frame are powder coated. Bottom right picture is the slide-out frame. It’s double gusset reinforced, as it is part of the trailer floor frame. This is where the company started, steel trailers. 12 gauge channel-iron floor cross members, sheet metal is 18 gauge, posts are 14 gauge, Yes the necks are beefy. Nice welds, With large LQ’s I’m a fan of double jacks. Reinforced hinge below. License plate bracket, you won’t scratch the paint with a screw driver. 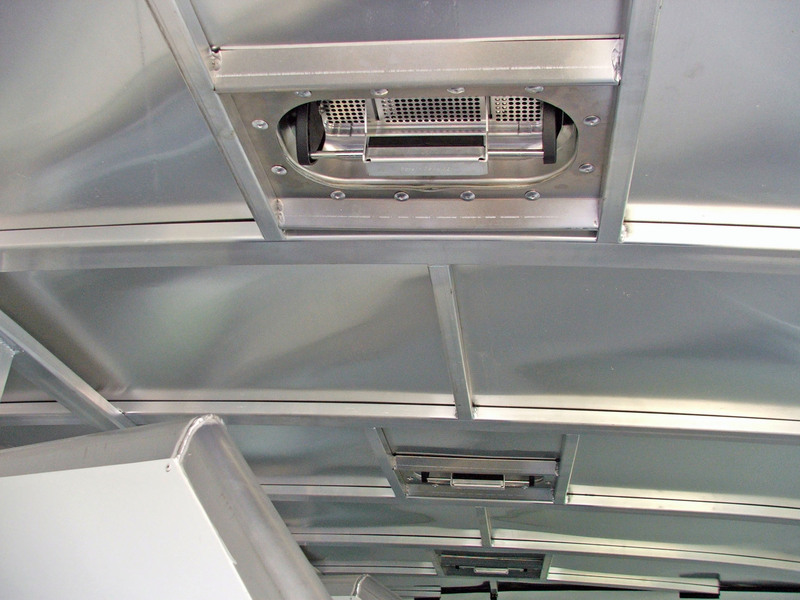 Optional insulated enclosed ceiling. Alumasport has a fiberglass gel coat roof nose for the smooth look. 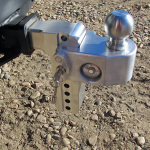 Alumasport rear saddle rack swings out with an assist strut on top as seen below. Bison’s exterior paint has a one year warranty, 3 year structural, workmanship and material warranty. Axles have 5 year warranty. Clean fully enclosed riser wall adds class, in white or diamond plate and optional enclosed neck frame to the right. 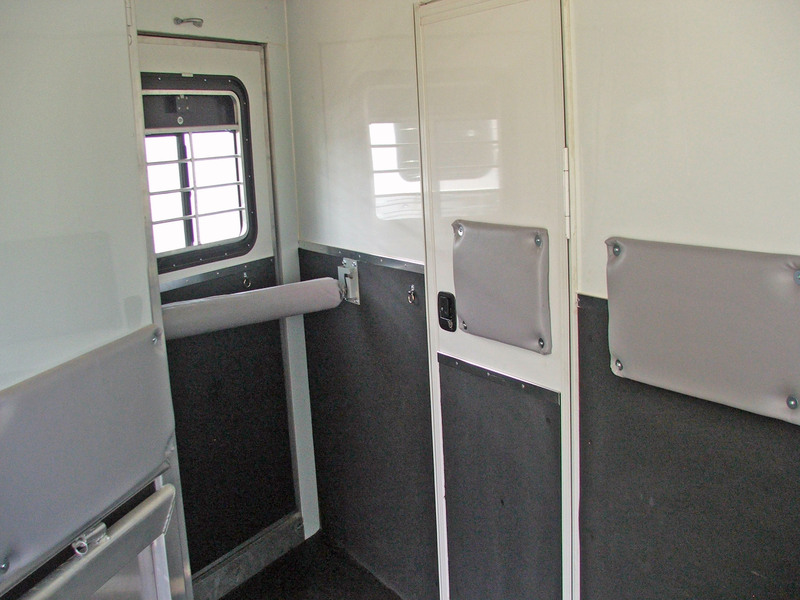 The enclosure opens up completely or 1/2 door at a time. Picture left, shows the water spigot under the enclosed bulkhead, the small things count on the road. Bison maintains a substantial amount of open inventory for their dealers. So if your dealer doesn’t have the trailer you are looking for, odds are in your favor that they can get it. Frank Parmater inspecting a finished trailer to the right. I saw several managers inspecting trailers. When the factory does the Living Quarter warranty also, you know they want the trailer right when it leaves. This makes improvements happen faster. 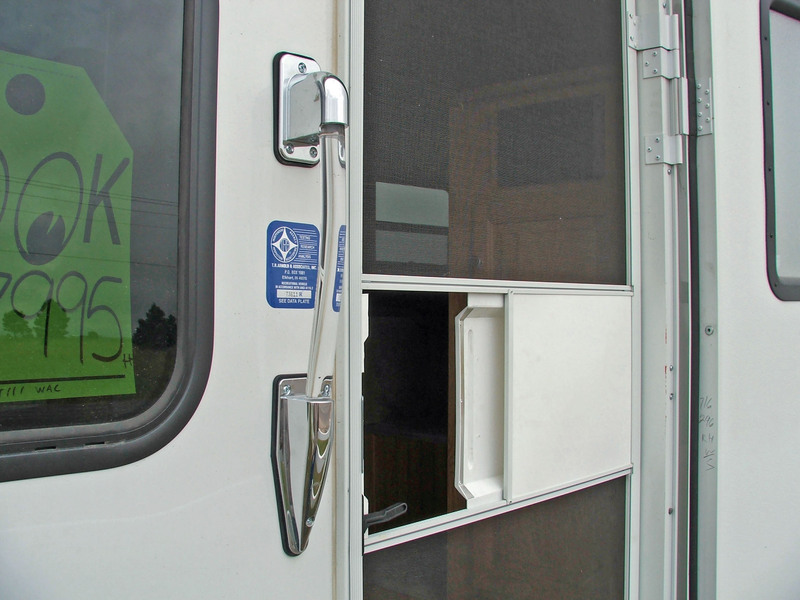 With the 60-40 rear doors, it’s easy to load. The Paint horse is “Flirts with Chics” owner Bailey Walters and the Quarter Horse is “My Shock is Fancy” owner Katie McHenry. Sheila Conley is the trainer doing all the work as I play with my camera in the rain. 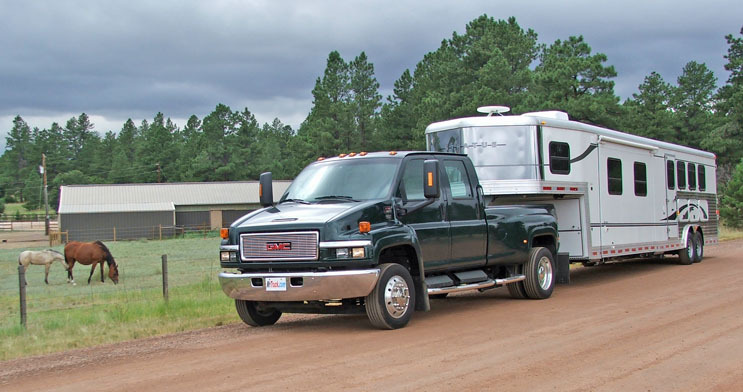 Built like a tank for horses, I took a C4500 GMC to Elizabeth RV in Colorado last summer to tow the giant and it’s super 12 ‘ slider. The 12’ super slider has 4 windows. Like being at home on the road. Sure beats Motel 6 and port-a-potties at horse events. It’s so nice having a LQ trailer with all the conveniences with you, turning horse events into family vacations.s. 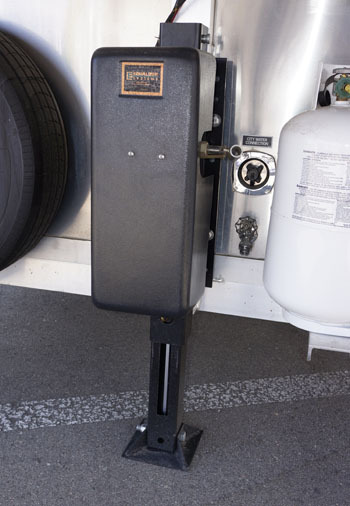 The trailer I towed was the 8416MM with a 16′ short wall, yes 16′ with a 12′ flush floor slider. 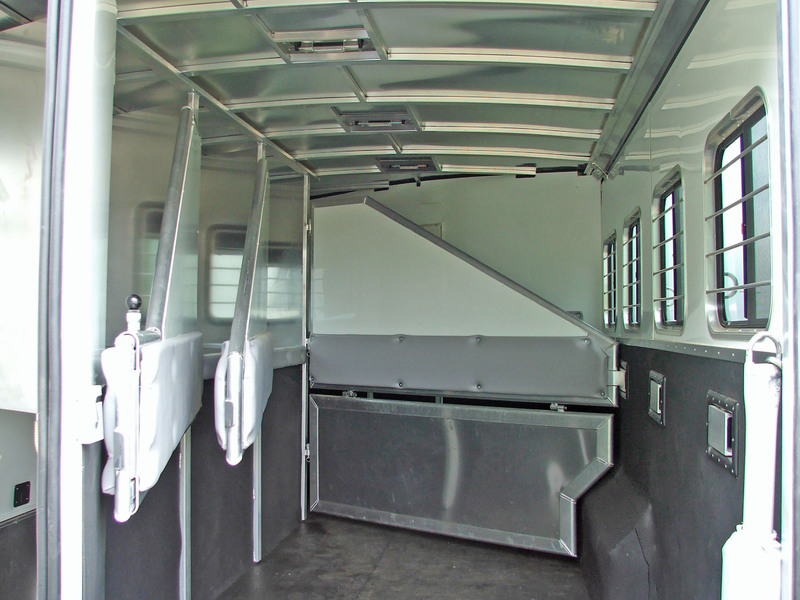 The trailer is 42′ long, 8 ‘ wide with 7’7″ interior height in the horse area and a 7’ ceiling in the LQ. The dry weight is 10,900 for this aluminum 4 horse, so I don’t want to see you towing this with a 3/4 ton near me. The GMC C4500 matched well to this trailer. 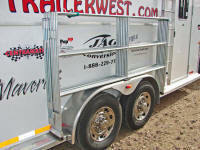 This is one of those trailers that you buy after you look at a dozen LQ horse trailers that can’t beat the value. I pulled the Stratus through the horse countryside east of Parker CO. 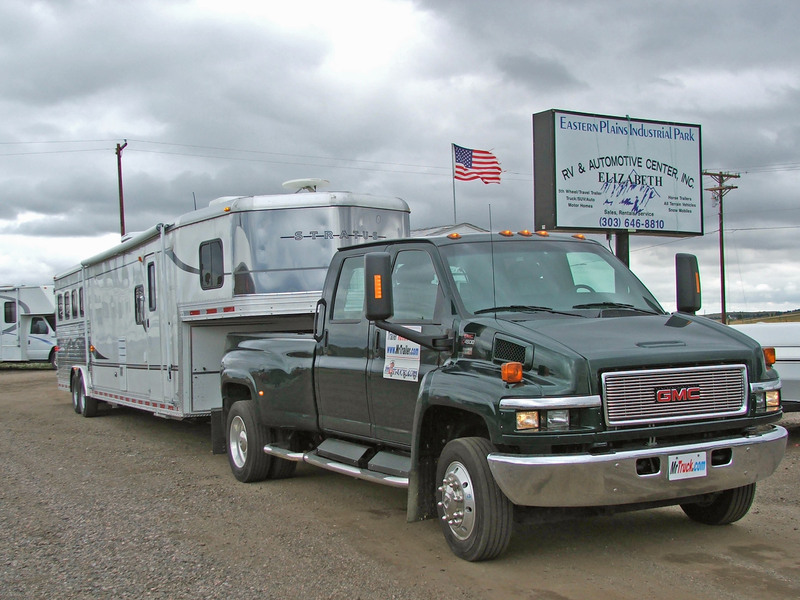 The GMC C4500 with the same diesel and transmission in GM HD 2500’s, had no problem towing the Stratus. Pulling a large LQ trailer doesn’t tow much different with or without horses. This combination towed well. 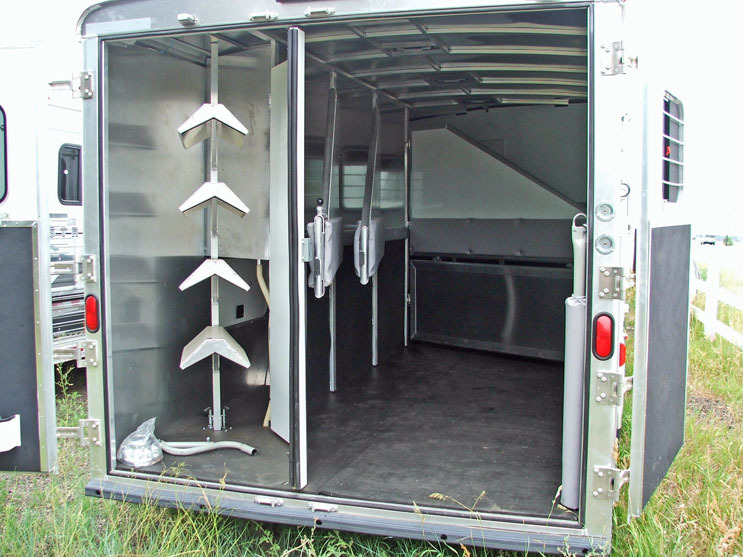 Bison has several sizes of trailers to choose from to match your horse needs and size of your truck. 60-40 rear door, my favorite size. Give your horse a large target to load in. The rear doors will open individually. So you can open the tack door without telling the horses they are about to unload. 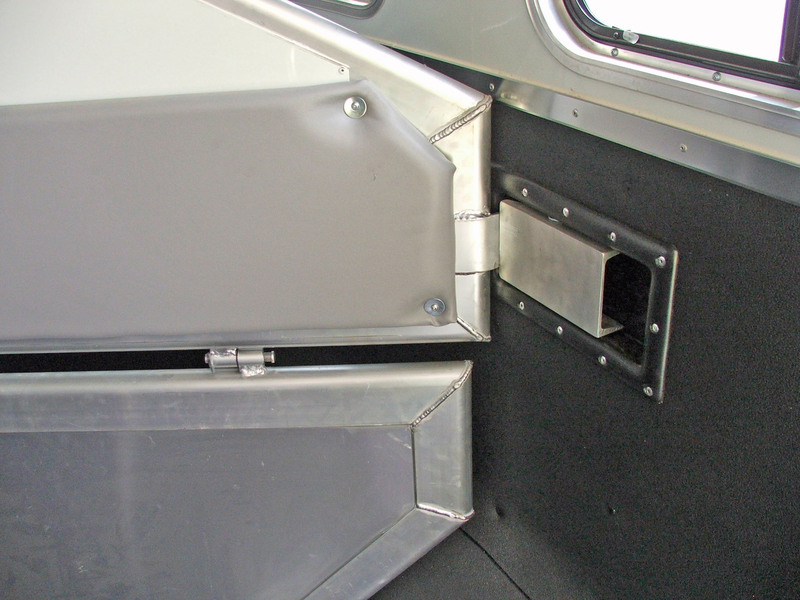 Each rear door has it’s own rubber gasket where they join the tack divider. Stratus manger above, Alumasport below. Plenty of padding above, I like the look of stainless below. You can have it either way. Below left, spring loaded divider. Next behind the rear tack is an opening all the way to the front stall. Stash away out of site hay, bicycles, ladders, in-laws, Mini-Coopers or it’s a good place for a generator or water tank. And now finishing the LQ, 10-12-14′ short wall LQ and the Super Slide 16′ short wall. Well done threshold below left. Above is the step to the neck bed built into the bulkhead frame. 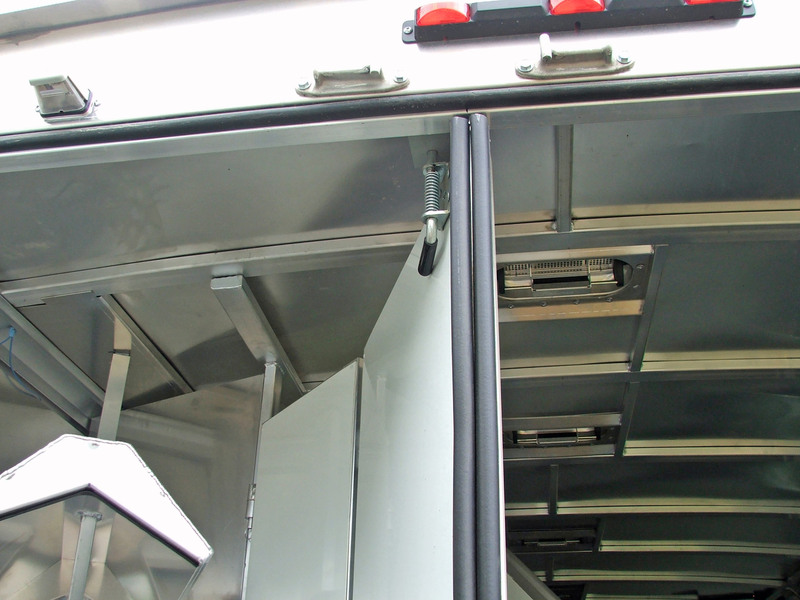 The slide-outs are designed into the trailer, with over 700 Living Quarter trailers produced a year at the Indiana plant. Below left, the rack and pinion dual ram slide-out mechanism is smooth. 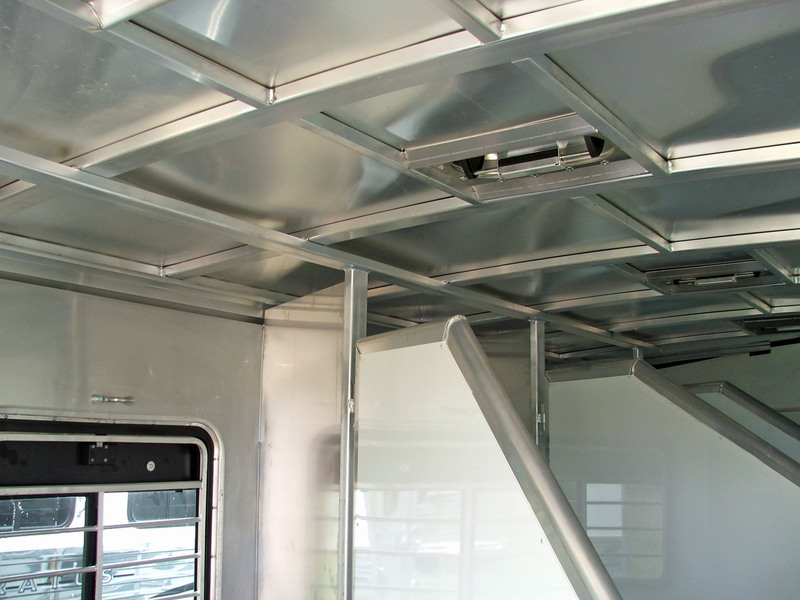 Also a smooth look from the optional insulated enclosed ceiling in the horse area. 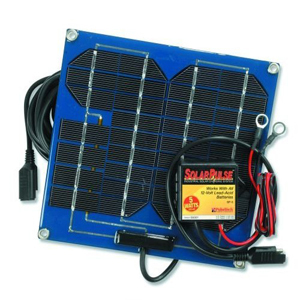 Optional Fantastic fan just like the top end RV’s and the electrical center for breakers and fuses. Look at the size of the bed in the neck. 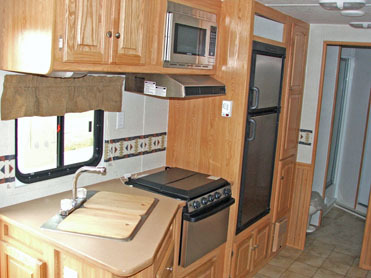 The kitchen is just like most RV’s. Big sink. We’ve all seen the great LQ conversions available that make you drool, but I think the best value for most of us is the factory LQ’s like what I see from Bison. 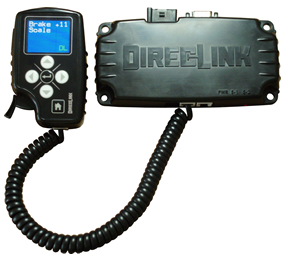 LQ’s done “in house” costs less with more control and warranty work done all at the same place. 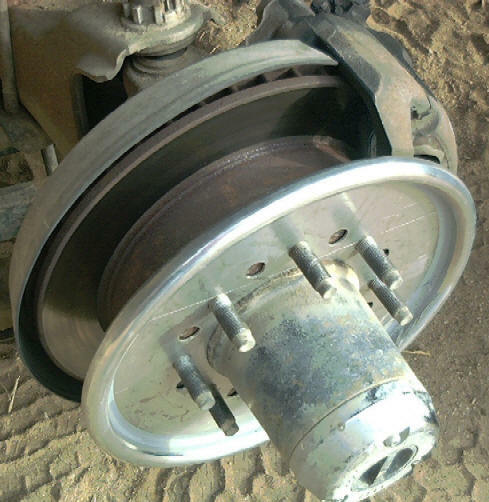 And having the trailer factory doing warranty work, gives them direct feedback to problems that can be remedied through the chain. I see this in the RV industry, where folks have to take their motor homes to one place to work on the chassis and another shop to worHaving management and engineers from the RV industry at the helm of Bison, puts focus on the Living Quarter horse trailer market. Above left, front kitchen is a space efficient option. Top right, cut out step into the neck bed is a nice feature. Can you imagine how a conversion company would go about cutting out a step from the riser bulkhead. Optional Mid-line package in Cherry. Looks rich. Very livable space, I counted 3 closets in the Mid-line package in Cherry. Folding chairs is a nice touch. 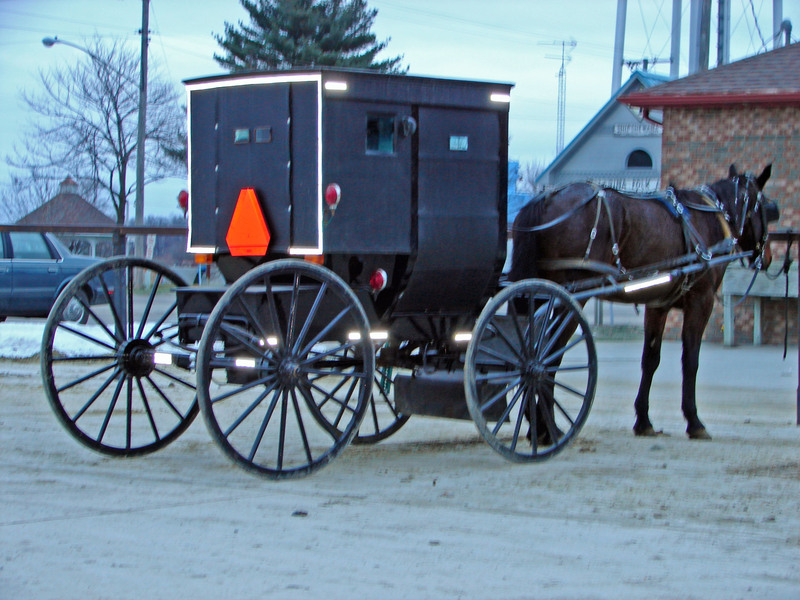 Allot of RV manufactures claim better workmanship because they are in Amish country and hire Amish workers. I saw a few carriages near Shipshewana Indiana. Bison manufactures their trailers just south of Elkhart Indiana, the capital of the RV Industry. 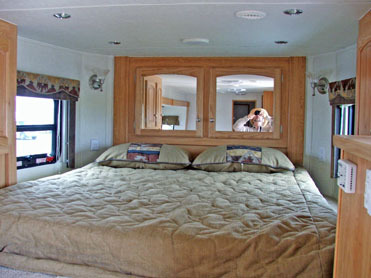 Being owned by a RV manufacture, Monaco Coach, has some big advantages building LQ’s. Supplies are cheaper as in thousands of air conditioner’s not hundreds, shared technology, buildings and engineering synergy. 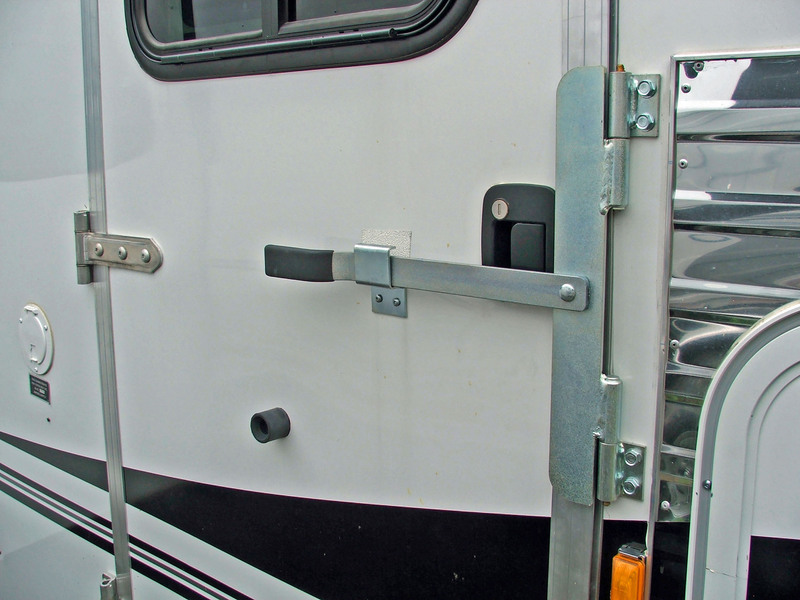 I like the butterfly latch on the escape door for traveling as well as a entry latch for using when parked. I towed a Bison Stratus Super Slide last summer from Elizabeth RV & Auto, Elizabeth CO last summer with a GMC C4500 and Monroe dually bed. It had at least 8 inches of bedrail clearance. The Bison towed straight and easy. Jason Conley of Kerlin Trailers loaned me his dually to test drive a Bison Stratus. Jason and Richard King sell Bison’s at Kerlin Trailers Motorsports Western Wear in Warsaw IN a division of Kerlin Ford, 79 years young at Silver Lake IN. The Monroe truck bed on the C4500, gives you a usable bed you are use to and has around 8 inches of bedrail clearance on most horse trailers including the Bison Stratus. © Copyright 2006 H. Kent Sundling & MrTruck Media. All rights reserved including digital rights.